Happy new year! We'll be featuring the artwork from one of verynice's volunteers each month. The prompt was to pick a holiday(s) that inspire us to give back. This month we feature the work of Kate Manos! Download our wallpaper and celebrate the spirit of giving back with us. Martin Luther King, Jr Day: Monday, January 16, 2017. "Hope, respect and unity are as important today as they were when Martin Luther King, Jr. reminded us to stay strong all those years ago." In a world where my profession is to help sell products and services, it's natural for graphic designers to want to find a way to use their "powers for good." I remember a distinct moment in college when I was completely turned off by the idea of creating designs just to make people spend their money or time. I set out to either make art out of design, or maybe lend a hand for more "worthy" causes. I started volunteering to make posters for a club on campus that brought movies to the students, obsessing over artists that crossed the line between art and design with movements like Dadaism and Flux. I helped out with verynice by making a quite garish website for a cat shelter (don't look it up), and tried to pick internships that were for smaller endeavors like 2-person design studios and art magazines. Working at and with verynice for almost a decade, some of my favorite projects I had a hand in are based around experiences (not necessarily products or services), on top of working for a company whose business foundation is based on giving back and pro-bono. Designing a logo and website for the Pasadena Museum of California Art (pmcaonline.org) and helping with select projects for the Downtown Women's Center in Skid Row have been two-fold in satisfaction for using my design powers for good. Click here to download high resolution wallpaper. In a recent statement from the AIGA (the largest professional design organization in the world), it was made clear that the organization has a commitment to social justice. Further, on July 26, 2016, the organization will be holding a virtual town hall meeting to discuss matters of Racial Justice. As I enter my third year on the Advisory Board for the Los Angeles chapter, and as a long-time advocate for social design practices, I feel the need to contribute to the conversation by providing 4 ideas to help the AIGA, our members, and I, walk the walk. 1. Extend Design for Good Initiatives and Define Pro-Bono Service as a Requirement for Membership. Pro-bono (which is short for pro bono publico: “for the good of the public”), has roots that are set deeply within the legal industry, traceable to years as early as 1876. “Civil legal aid,” as it is referred to, began when the German Society of New York launched an organization that had the specific goal of protecting recent German immigrants from exploitation in the states. The dedication to leverage legal aid as a means to protect those who could not access protection was soon extended well outside of the German immigrant population and eventually the Legal Aid Society of New York was founded in 1890. Legal activist, Reginald Heber Smith, in 1919, wrote a text titled “Justice and the Poor” that was crucial in the advancement of thought leadership around the necessity of pro-bono, eventually inspiring the American Bar Association to create the minimum pro-bono obligations that students and practitioners today uphold in their respective practices. Pro-bono soon became prevalent in fields outside of the legal industry, but it has yet to be seen as an obligation - or right of passage in any other industry. What if AIGA required every member to complete a pro-bono project for the cause of their choice? Pro-bono work is especially critical for designers to engage in. Every year, in the United States alone, nonprofit organizations will spend upwards of $8,000,000,000 on people who offer the services AIGA members provide: design and marketing. This is deeply frustrating due to the incredible potential a monetary value like that could have, if allocated toward the cause itself. Just imagine what a spare 8 billion dollars could accomplish... by engaging in pro-bono service, then, designers can help solve some of the world's most persistent problems. 2. Demand Equal Representation Across All Chapter Boards and Event Programming. Among the many important dialogues that the Black Lives Matter movement has sparked in our society is around the need for a more holistic diversity. In corporate marketing and strategic practices, we see an underwhelming stab at equal representation that is often limited to making decisions around who is in the photograph on the cover of a brochure. This is not enough, because in reality, diversity is not about who is on the banner of a website, but instead it is about designing for relevance by integrating an approach to design that does not assume a one-size-fits-all solution. An attempt to be all things to all people is dangerous. The good news? Human-Centered Design practices accomplish this by inspiring designers to design with their audience instead of for their audience. Put simply, a board room full of white people simply cannot design a successful event or initiative for black people. In my mind, this is one of the critical messages of the Black Lives Matter movement, and the reason saying "All Lives Matter" is so controversial. Of course all lives matter, that's not the point. The point is that the experience of each life is drastically different than the other. As designers we should know this already. What woks for one person does not work for another person. It's experience design 101. Very often, AIGA's attempts at attracting a more diverse membership stops at ensuring an event has a diverse panel. While this is an important step in the right direction, there is more to be done. So what can AIGA do about this? It's simple: Inspire local chapters to build boards that better represent the world. In doing so, and by inviting diverse communities to design events with us, we can achieve relevance in the content we put out, and can pave the way for a more systemic approach to building a diverse membership. 3. Leverage Student Groups As Catalysts for a New Grassroots Movement in Design-Driven Social Impact. So what is AIGA's on-campus movement? As an organization, we need to recognize that our student chapters are more than just a formality. Instead, these incredible students have the potential for generating significant impact in both design, and the world. Yes, students still need programming around career and portfolio development, but they are also capable of much much more. We must reflect upon the tools and resources we can give our students to empower their inclination toward activism and social impact. How can the AIGA see its student chapters as assets and allies in driving social change? Again, we need to treat our students as peers. We need to take their perspectives seriously. 4. Inspire the Design Industry At-Large to Solve the Right Problems by Becoming More Preemptive. In my new book (launching August 1st, 2016), Toward a Preemptive Social Enterprise, I write about the necessity for social entrepreneurs to move from a practice that is motivated by reaction to one that is informed by preemption. From the back cover: "Social entrepreneurship is almost always too late. As practitioners of social enterprise, we hold the assumption that our responsibility is to exclusively act post-crisis in order to gradually chip away at a persistent problem, or to maintain a state of peace. The art of reaction is necessary, but the expectation of post-traumatic innovation as the singular starting point for an entire industry is limiting. What if social enterprise was also responsible for preemption? What if social entrepreneurs were also futurists? This is the message of our manifesto." I would like to extend the message of this anthology to the design industry, and in the context of AIGA, I want to challenge us all to reflect deeply on our practices. Are we limiting ourselves to reaction? Are we solving the right problems? We must realize that our job does not end at the printing of a poster, or the launch of a website. We must, instead, recognize that our responsibility is to design the world we want to inhabit. This takes time, energy, people, devotion, and passion. The good news? AIGA, and its members, have that. AIGA can make that happen. By integrating more content and programming that is centered around systems design, business design, and design futures, we can arm our members with the skills needed to balance traditional design practices with long-term, critical thinking. Changing the world takes time, and this list of suggestions is in no way exhaustive, but this is a place to start. In writing this post, I challenge the national leadership to consider how, before the end of 2016, we can begin to prototype a new AIGA – one that is even more giving, diverse, grassroots, and preemptive. One that is an example for the industry to continue to take pride in following. At verynice, design thinking informs the way we problem solve in all areas of our work; it’s at the core of our practices, whether we’re advising on business strategy or forming a brand identity. We do this not only because it improves the outcome of our work, but also because our clients find takeaways to add to their own practices. When we interact with clients who are unfamiliar with design and its processes, part of our responsibility is to show them why good design matters and how it can make a difference in all areas of business. Spreading the word is how we can make what we do sustainable— although we know that true sustainability comes from sharing our knowledge with the next generation, so they can not only do what we do, but value what we value. That’s why we were thrilled to partner with Catapult, a program created by Ashoka that provides aspiring young entrepreneurs with the skills and mentorship they need to develop their start up ideas. Through an intensive, four-month startup incubator, Catapult provides participants with an immersive experience during which they must build, pitch, fund, and launch a venture. Their support comes from three sessions that take place across the US and weekly virtual meetings with their team’s professional advisors. verynice was proud to partner with Catapult in order to support the students’ design and strategy needs through instruction and mentorship. 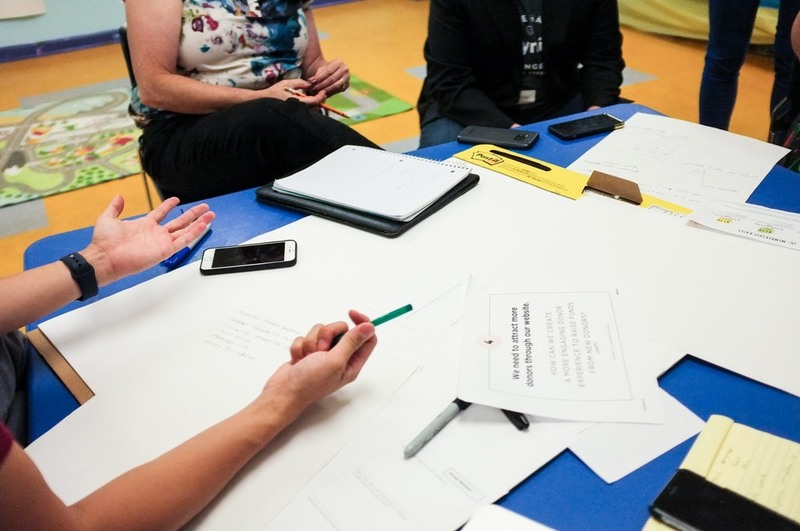 Through a series of six sessions, verynice volunteers took Catapult entrepreneurs through the visual design process. We also worked on strategy with participants, providing instruction on business plans and an overview of other strategy pieces such as user experience design to help take them through the start up phase of their companies. Here are some samples to demonstrate our work. We supported each team in creating their logos, business cards, and introductory pages to their presentation decks. You can find a one of the presentation decks by Ripple right here. After the program, we talked with two program participants who gave us perspective on what it’s like to be a high-school aged entrepreneur in 2015: Disha Shidham and Adrian Wisaksana. Read on to see what motivates them, what challenges them, and why Catapult was an experience integral to their development as entrepreneurs. When did you first realize that you wanted to become an entrepreneur? Were you motivated by a specific idea? A: In the fantastic summer of 2014, I visited the United States for the first time to take part in a summer program called Leadership in the Business World (LBW). I was a part of LBW West alongside with seventy talented high school individuals. We were based in the great city of San Francisco and there, we explored the world of business together. We learned from great entrepreneurs and their amazing stories as well as from visits to tech giants such as Google and Ebay. Towards the end of the program, I was simply thrilled to explore the world of business even more. In that very summer, I also met most of the amazing people who I am working with today—I met the team. The team was and still is what motivates me the most when it comes to entrepreneurship. We have come a long way, from Menerva seven months ago to College Hive today. We have combined our unique skills and talents together to build exciting things. I’m looking forward to accomplish more great things together. D: I actually didn’t realize I wanted to pursue entrepreneurship until after I completed the MIT Launch Summer Program. I just happened to apply for the program, thinking it would be great to spend four weeks in Cambridge during my summer, and I ended up falling in love with the start up world. MIT Launch really introduced me to the core concepts of entrepreneurship and I realized then and there that these fundamental ideas were also the core concepts of my personal philosophy. Entrepreneurship is a perfect fit for who I am and who I strive to be in the future. What aspects of your Catapult team’s business did you develop with the instruction/guidance of our volunteers? A: We were working with Elana to develop the core design aspects of our venture which included our logo as well as our brand image. It was a crucial step for us as we were still maturing our new venture, College Hive, after a significant pivot. We also spent time imagining the user experience and creating a mockup for our MVP. The mockup was a key tool for us to demonstrate to other people how we envision our service. D: Marlon’s input on our logo and advice on branding was absolutely invaluable. First and foremost, I want to thank you all at verynice for your support. Marlon really helped us solidify what TacBoard’s mission was, helping create a “brand dictionary”. He reflected our precise mission in the new logo he created for TacBoard. What were your most useful/memorable takeaways from working with our volunteers? A: Working with Elana was an absolute privilege for our team. It was very fun and it felt as if she was actually a part of the team. Apart from all the exciting Google Hangouts, I remember sharing a board on Pinterest and just pinning down ideas together for our design. We shared color schemes, design styles and patterns we liked and eventually combined them together to finalize our brand design. I had never thought Pinterest could be such a useful tool in the idea sharing process. Elana also introduced us to InVision, an awesome tool for teams to collaborate on design work and create mockups. When she showed us what she had done for the mockup, we were in awe. “Wow”, I remember our excitement when we saw it. The mockup was spectacular. It later became a key piece in our pitch as well as the Q&A session on Demo Day. We cannot thank Elana enough for her help and guidance! D: The most useful takeaway from working with Marlon was this: to make sure that everyone in the team had a clear idea of the one, district vision for TacBoard. After that, we would have to make sure that every task and every idea formulated within TacBoard aligned with our vision. This idea of knowing exactly what your brand is now, how you see it growing in the future and developing a plan to get from now to the future was a really important concept that my team and I learned during the sessions with Marlon. In your view, what are some of the main challenges that young (high school age or below) entrepreneurs face today? A: Two things: experience and mentorship. Experience relates to learning by doing, whether it be doing things such as surveys or pitching. I think that sometimes it can be intimidating to actually go out and see how people perceive your idea as well as how they perceive you. This also relates to having the courage to fail, to embrace failures and quickly learn from them. I used to be a fan of ‘playing safe’, but looking back, I found that by avoiding risks, I was not making the most out of my potential for growth. I think mentorship is crucial for young entrepreneurs, or even entrepreneurs in general. Listening for advice from experienced entrepreneurs and passionate people has been such a valuable learning experience for me and my team. I think that the lack of mentorship limits one’s ability to see a bigger picture. Sometimes that can either mean success or failure. Both experience and mentorship are only some of the great things that Catapult provides to us young entrepreneurs and I will be forever grateful for that! D: In my view, the biggest challenge for high school entrepreneurs is bringing an idea to reality and I believe that Catapult really fills this need. Catapult not only lays the groundwork for ideation and development of start ups, but they provide specific deliverables that bring business ideas into realities– particularly the design consultations with verynice employees and the free legal services from DLA Piper. Has participating in Catapult affected your approach to entrepreneurship and/or your goals for the future? A: Catapult has transformed my lifelong aspirations completely. It has taught me to believe that we as members of the younger generation can actually make a difference in this world. It is a thought that I had deemed preposterous not too long ago, but today is a different story. Today, I’m not afraid to experiment with new ideas and to learn more from new exciting entrepreneurial adventures. My goal for the future is to work with passionate people to create solutions to real world problems. Catapult will always be a great source of inspiration and motivation in my journey to achieve my goal. I am very excited to see where my experience at Catapult will take me in the future! D: For me, Catapult itself was a form of an MVP to see if I really wanted to be an entrepreneur in the future. It was a low risk way to see if I really enjoyed entrepreneurship or not. Now that the program is over I can say with certainty that living and breathing the start up life is definitely what I want my future to be. Not only do I enjoy actually building something from the very beginning and watching it grow, but the people that are involved in entrepreneurship are the kind of people that I want to be around– they’re inspiring and passionate about everything that they do. I absolutely thrive in that kind of environment. Thank you to Catapult for an amazing partnership and the privilege of working with such bright entrepreneurs. Find out how design can shape business and learn more about our work here. If we were to answer this question with a fundamental problem-solving technique, "ask why 5 times," then I would have to start with this: WHY do I believe in pro bono? My most immediate response was “why NOT pro bono?” There is something uniquely beautiful in this genuine exchange of professional skills in an environment of mutual trust. The idea of ‘helping society’ is often very abstract. Pro-bono helps define one act of giving. It is simply contributing a little bit of your time and knowledge in order to benefit someone else. “Doing good” suddenly becomes a lot more comprehendible. Matthew Manos, founder and partner at verynice, mentioned in How to Give Half of Your Work Away for Free that “There are far more of us with valuable skills than there are people with extraordinary wealth.” As a young designer myself, it is very empowering to discover that I, too, can have the ability to give back to society by participating pro bono projects through design. WHY Free? Don’t you have to pay rent and bills? The short answer is yes. Rent and bills are waiting for me just like they are waiting for everyone else! However, it is really refreshing to practice pro bono in our capitalist society. It's almost rebellious to chase a dream for good. I personally believe that a philanthropy, or seeking to promote the welfare of others through the donation of time/money/skills to good causes, is not only a belief system but an act of social activism— it challenges society to progress in a positive direction through professional practice and behavioral decisions. Philanthropy is not only possible for older, successful, and wealthy people; in fact, it doesn't require large amount of capital donation either. By incorporating pro bono projects into the professional world, we can all contribute and ‘donate’ a little bit of our skills everyday for a good cause. At the end of the day, money does not define someone’s happiness. That sense of fulfillment that comes from helping others, however, can really brighten someone’s personal and professional life. WHY is it important to participate in social activism? ACTIVIST: a person who campaigns for some kind of social change. When you participate in a march protesting the closing of a neighborhood library, you're an activist. Someone who's actively involved in a protest or a political or social cause can be called an activist. I believe that in order to have a sustainable business model, one must make his/her decisions based on social courteousness and empathy. Or, simply, the gut feeling of trusting and connecting with others. Maximizing profit has been the first priority for businesses in our society. However, our culture is becoming more progressive, and we're starting to think about global issues like environmental welfare and population growth as well as more localized issues within our communities. With that, I believe every single one of us is responsible for making sustainable decisions to support our society’s progress in a positive direction. WHY is that related to you as a designer? I received my undergraduate degree from Maryland Institute College of Art (MICA) in Graphic Design. At the early stage of my design practice, I thought design was only about problem-solving in a visual way: nitpicking color decisions, typography, and hierarchy to name a few. I have always found myself attracted to topics in sociology and cultural behavior. Discovering the human-centered thinking methodology was the turning point on my perspective. The sudden realization that my design skills can benefit a larger audience group and support social causes that I care about was the most liberating feeling. EVER. I love my career as a creative; and the fact that I could bridge my design skills and my heart for social innovation by participating in pro bono projects is honestly the greatest career track I could choose for myself. With that, I will conclude my last but not least WHY… WHY ain’t you participating in the pro-bono (yet)? Krochet Kids is not your typical clothing company with a good cause. They provide jobs for women in Uganda and Peru, but they go beyond the One for One movement. They provide an outlet for customers to see who made their products. A #verynice personal touch to the mundane online consumption process! What talents can you use to give back to your community? At verynice we love doing what we do best to contribute something nice to the world. 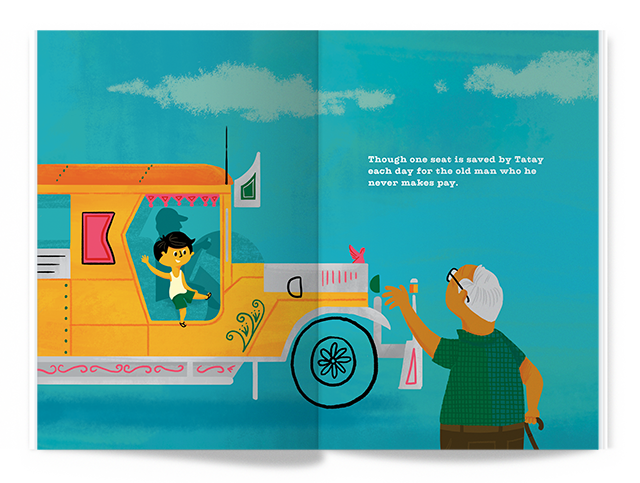 Krystal and Brad Woodward of Brave the Woods in Austin, Texas combined their skills to create an illustrated children's book about giving that supports relief efforts in the Philippines. Check out their idea and colorful illustration style on Kickstarter!